Stroke and Hypertension in Haiti, are they linked to all that extra SALT in the way Haitians cook? 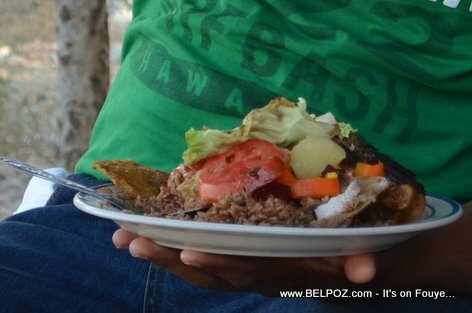 Most Haitians care more that their foods have a great taste than how healthy the food is. That makes me think: Stroke and Hypertension (high blood pressure) in Haiti, are they linked to all that extra SALT in the way we cook? En Francais: Haiti Santé : Accidents vasculaires cérébraux et hypertension en Haiti, sont-ils liés à tout ce supplément de sel dans la façon dont les Haïtiens cuisinent? Haitians are quick to tell you 'I am not a zombie, put more salt in my food' but is it that same salt that is turning many older Haitians into zombies. Stroke and Hypertension is a problem in Haiti and too much salt in our diet may be the culprit. I was doing some research to find out why more Haitians are dying from high blood pressure related diseases than before and I landed on an article discussing the excess amount of salt in the Haitian diet. According to the article, the Haitian diet is high in sodium (salt) and low in potassium and that's a combination for death from heart disease. 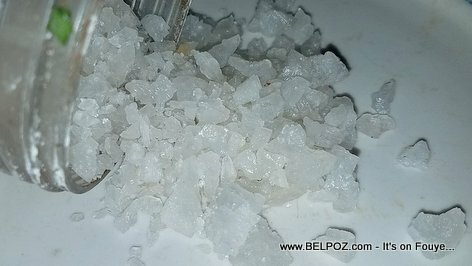 Salt in Haitian cuisine is a component of acquired taste. Haitians put salt in almost everything they cook. Reduce the salt in the food and a Haitian will tell you 'li manke sèl' (there's not enough salt in it). This love of salt may have from the fact that we've been using salt to preserve our foods especially the meets and fishes we eat and we cannot understand why we, as a people, are so addicted to harreng (herring), morue (cod fish), and poisson grossel (salted fish), endwi (a salted meat that gives food good taste in Haiti). With the advent of the internet, information is more readily available in Haiti now; therefore, it is our responsibility to be more conscious of what we put in our body. « Haiti - Son of Radio Tele Metropole PDG Richard Widmaier found dead in Petionville, is it drugs or a kidnapping? La plupart des Haïtiens se soucient plus que leurs aliments ont un bon goût que la santé de la nourriture. Cela me fait penser: AVC et Hypertension (hypertension artérielle) en Haïti, sont-ils liés à tout ce supplément de SEL dans notre façon de cuisiner? Je faisais des recherches pour savoir pourquoi plus d'Haïtiens meurent de maladies liées à l'hypertension artérielle qu'auparavant et j'ai atterri sur un article traitant de l'excès de sel dans le régime haïtien.